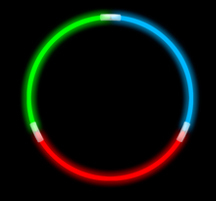 The world's oldest manufacturer of premium Glow Sticks (Britesticks™) and Glow Necklaces, presents BRITEROPE® Tri-Color: a SUPER BRIGHT 24 ½” Glow Necklace, composed of Green, Red, and Blue connected segments, that pull apart (only if desired) for bracelets and rings. 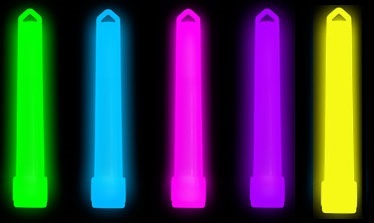 TO ORDER OUR NEW (GREEN, PINK, BLUE ) Tri-color BRITEROPE® - PLEASE CALL! 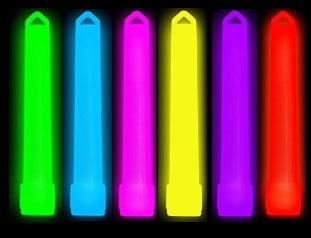 Not all Lightsticks are created equal! 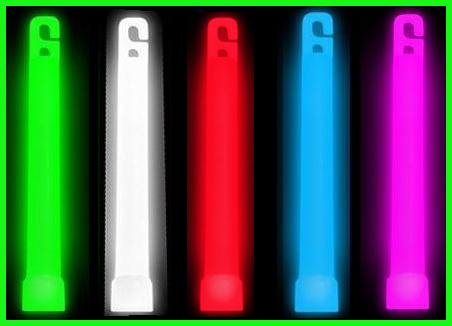 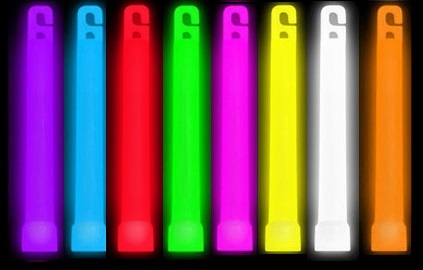 Our 4" Britesticks™ are SUPER Bright, glow the longest, with a 5 yr. shelf life! 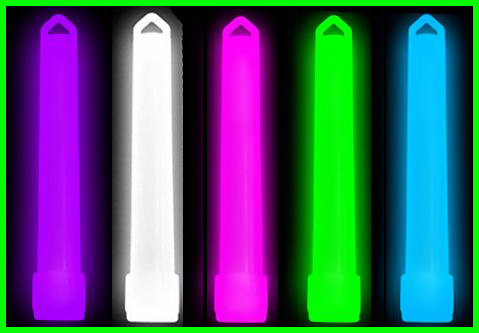 Our 6" Britesticks™ are SUPER Bright, glow the longest, + are the LARGEST 6" stick on the market (filled with 20% More liquid), with a 5 yr. shelf life!